This charming brick building, located on Leslie Road in the East Finchley flat rentals market, is ideal for those looking to live on a budget but still be in the heart of East Finchley. Located near the High Street and Ballards Lane, which are jam packed full of shops, locally owned boutiques, specialty food stores, and supermarkets; this location is extremely convenient. From eclectic eateries to green parks and plenty of shopping, the East Finchley flat rentals market contains all the amenities one could ever need. This bright and airy two bedroom in the East Finchley flat rentals market is a steal. Located steps away from the East Finchley tube station, this East Finchley flat rentals in the heart of it all. This second-floor modern block has lots to offer its residents, from the superb location to the modern amenities. The reception room is a spacious area, with an excess of room for comfortable seating and a separate dining space. With blonde wood flooring throughout, this reception is a prime area to host guests or spend a relaxing evening on the couch. The kitchen has up-to-date appliances, beautiful blonde cabinetry. It has a white tile backsplash, keeping up with the contemporary feel of the home. With a surplus of cabinet and counter space, this kitchen has room for all of your cooking needs. The bedrooms are spacious and bright and offer a wealth of storage space to house all of your belongings. Both are double bedrooms, with large windows that let natural lighting flow throughout the room; leaving them with an open and cheery feel. There is a full bathroom in this East Finchley flat rentals space. The oversized tub is a lovely place to take a relaxing bath, besieged by a glass closure. With white tile walls and granite tile flooring, this bathroom keeps the elegant vibe of the apartment going strong. 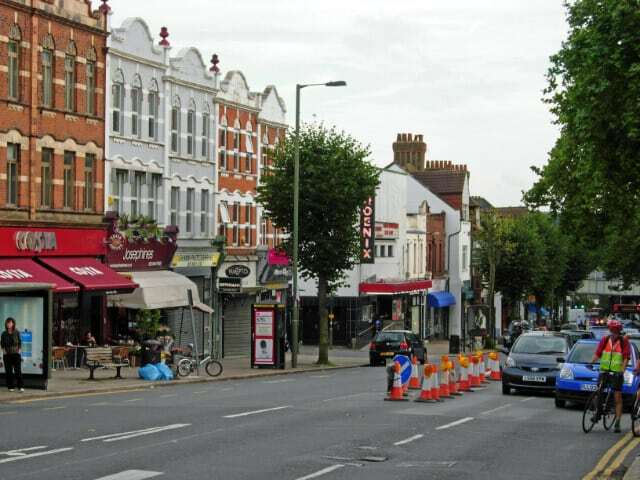 The residents of East Finchley are a mixed bunch, varying from families who are looking to join a suitable community to young singles and professional couples who come both to rent and buy. The East Finchley flat rentals area attracts older couples who have sold their family homes and downsized to luxury flats. 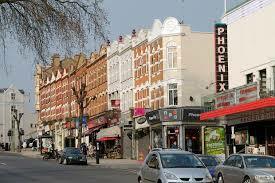 There is also an active Jewish community in Finchley, with many synagogues and cultural centers in the area. Served by the Northern Line, getting anywhere you need to be is a breeze. With the East Finchley tube station right nearby, commuting into the city is never an issue in this East Finchley flat rental. For those who commute by car, several major roads pass through the area. A dedicated parking spot comes with the flat and easily links to the M1 and North Circular Road. This East Finchley rentals going to be snatched up quickly. Due to this properties prime location, economical price, and fantastic nearby amenities it won’t be on the market long.